Uh-oh! 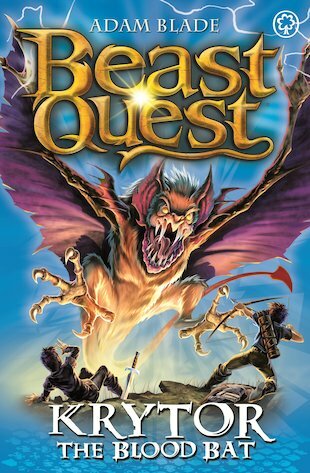 Tom is facing a new challenge – a battle to defend his title as Master of the Beasts. While Tom and Elenna were in Gwildor, fighting bravely on their last Quest, a new hero saved Avantia from a raging Beast. Now Avantia has a new champion: Tom’s equal in strength and courage. There’s only one thing for it. Tom must prove he’s still the best! That means competing against his rival in the mighty Trial of Heroes, which involves fighting four lethal Beasts. First up is Krytor – a hideous blood-sucking horror! May the best warrior win!